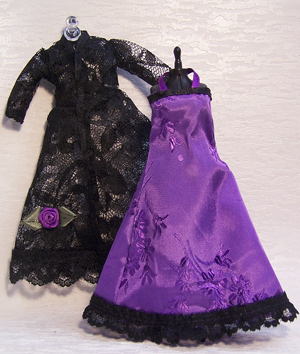 The Nightgown is Made From Violet Brocade trimmed with Black Lace. The Negligee of Black Lace has Set In Sleeves and a Tiny Snap Closure. Both are Handsewn. The Set May be Displayed on the Mannequin of Over a Chair or Bed.